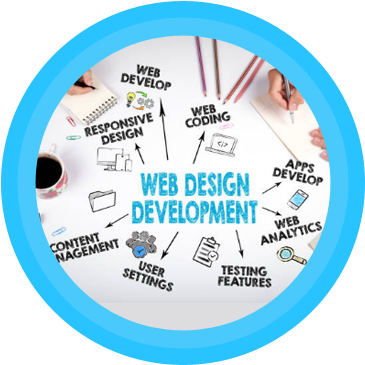 Data Soft Tech provides Web development services using state of the art web technologies in order to provide optimum satisfaction to our customers. We provide E-Business Solutions, CRM Implementation, ERP Implementation, Content Management / Web Publishing, Webstore Development, Project Management, High end Database Implementation services, E-Learning solutions, Application Development Services and Legacy Web Integration Services using web technologies which include ASP.NET, HTML, DHTML, XML, CSS, AJAX, C# and Java Scripting on popular web servers like IIS with database support from MySQL Server, MS SQL Server 2000, MS SQL Server 2000 coupled with the most advanced graphic designing software. Data Soft Tech provide you with an affordable E-Commerce enabled site that is professional in appearance, easy to maintain and includes the tools you need to be successful. eMaven Solutions provides specific strategies to help market your business both on and off line. We help integrate your online strategies with your traditional sales efforts to ensure a smooth transition into E-Commerce.